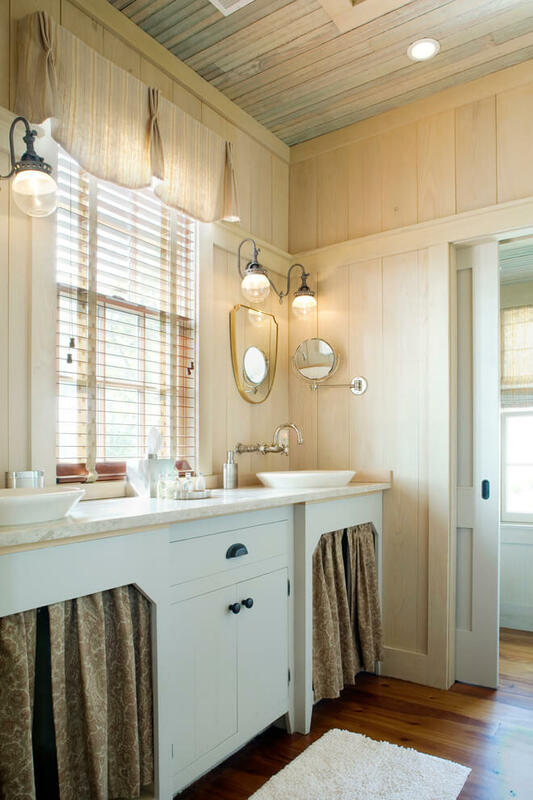 Country cottage style is informal but elegant. 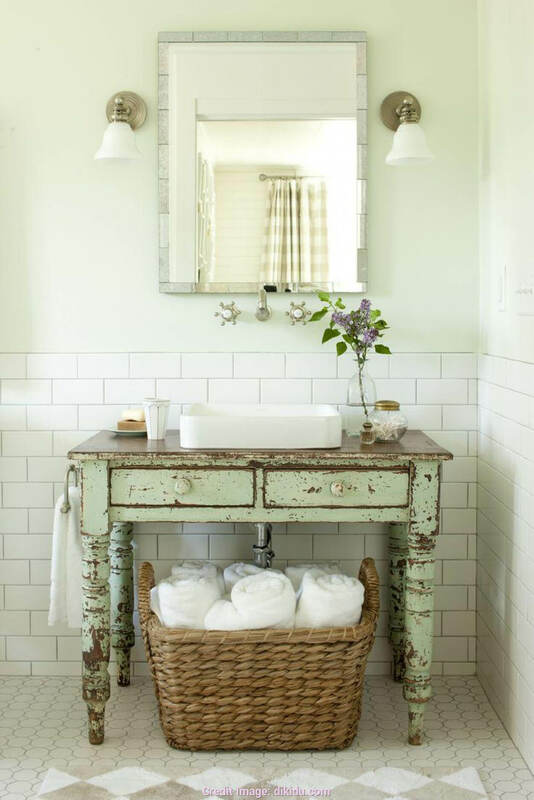 Hearkening back to the past, the country cottage bathroom provides a relaxing oasis away from the bustle of the home. 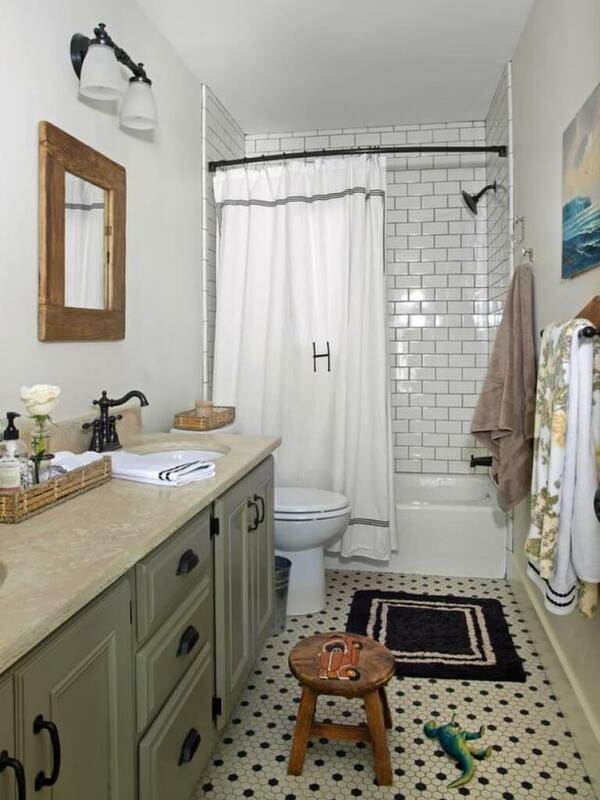 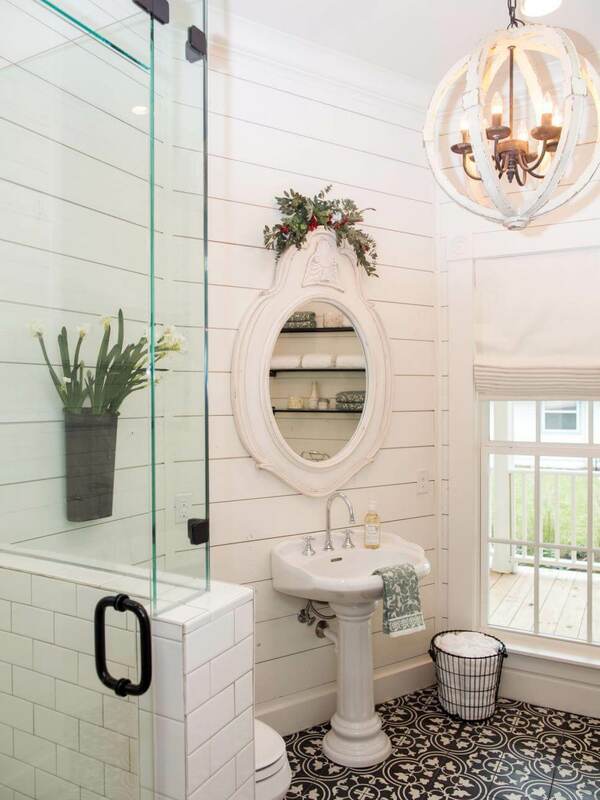 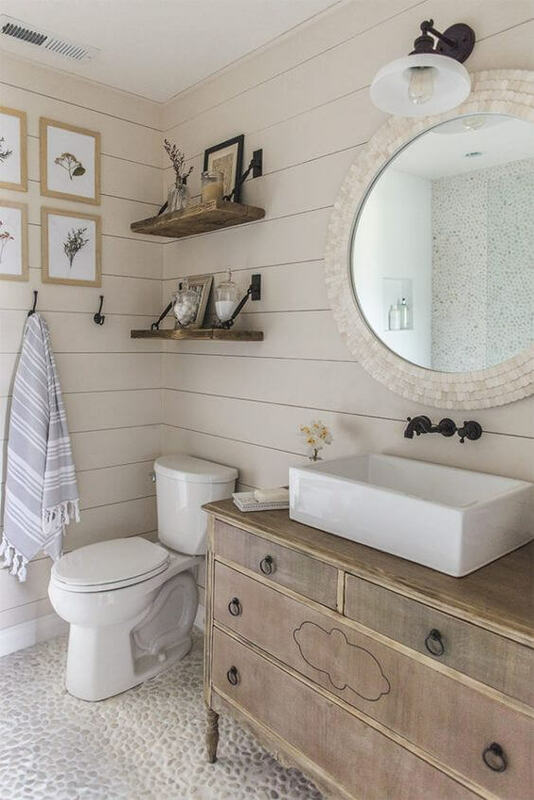 These bathrooms show the best of country cottage style combined with fresh contemporary touches. 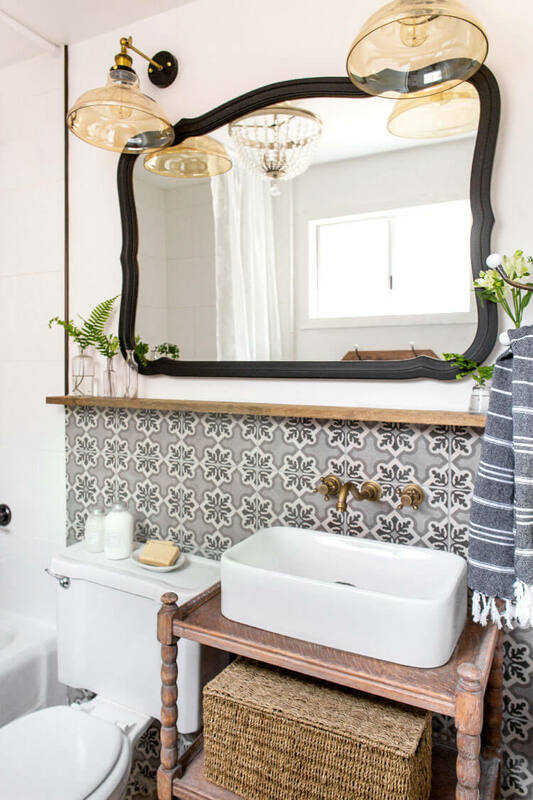 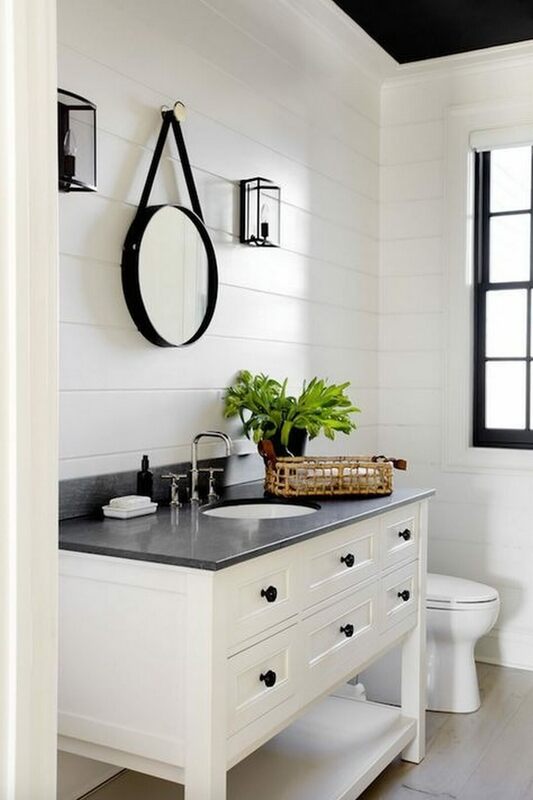 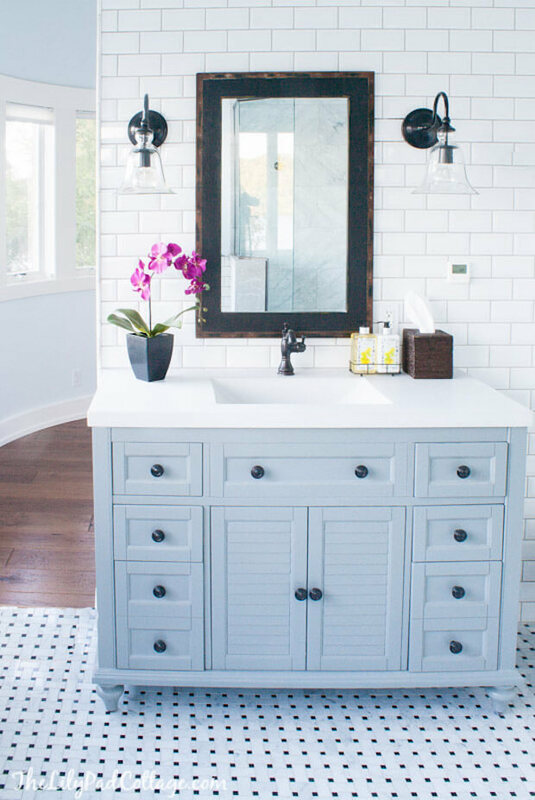 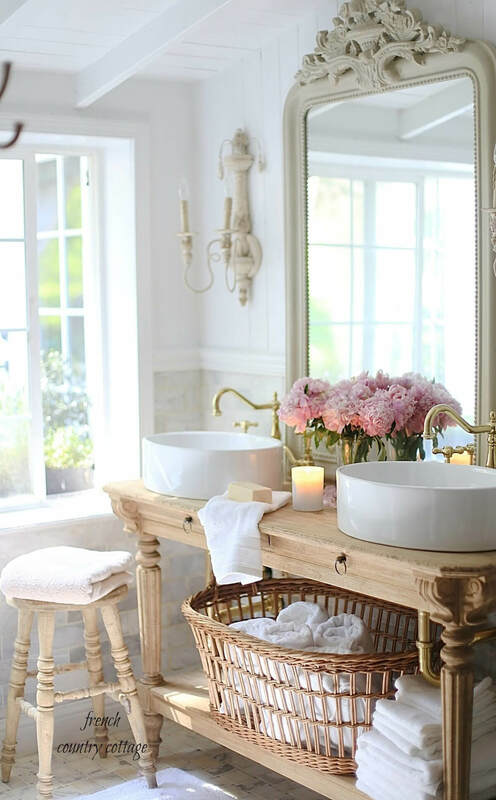 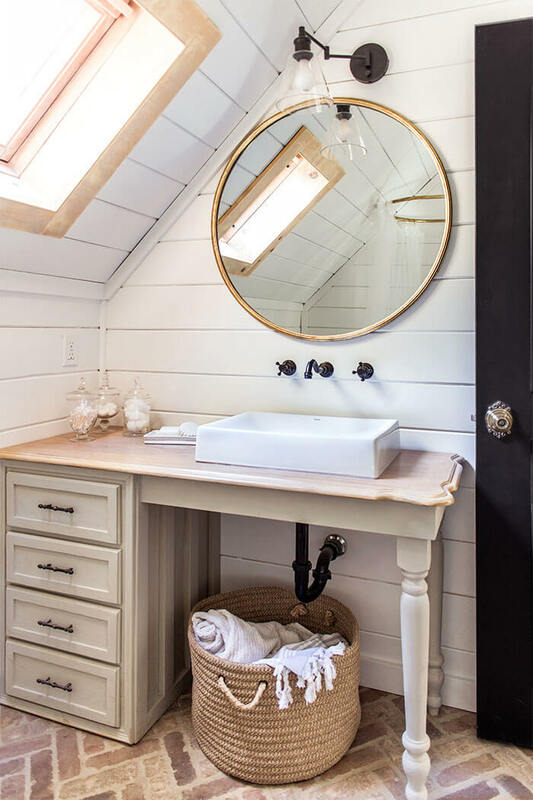 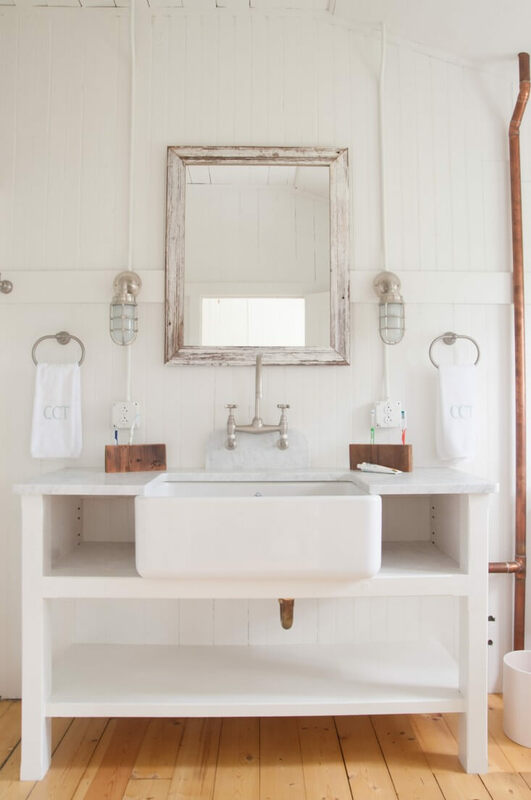 Often, mirrors are the focal point of these country cottage bathrooms. 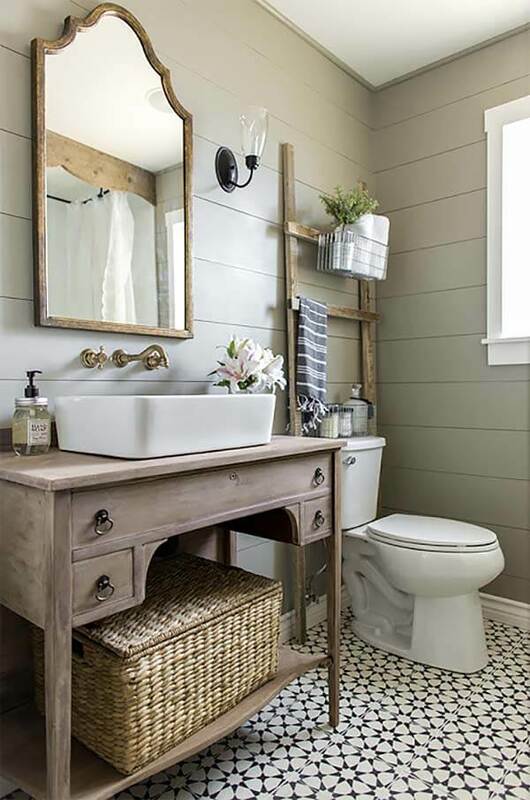 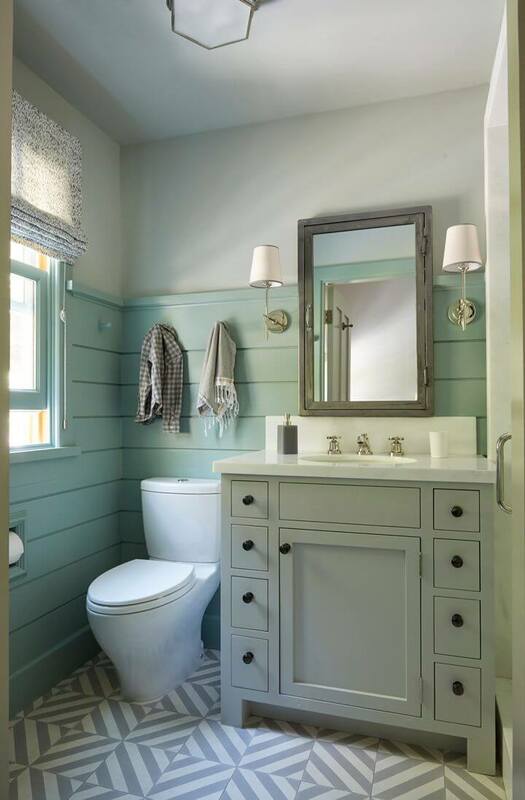 With just the right mirror, a modern bathroom can be transformed with country cottage style. 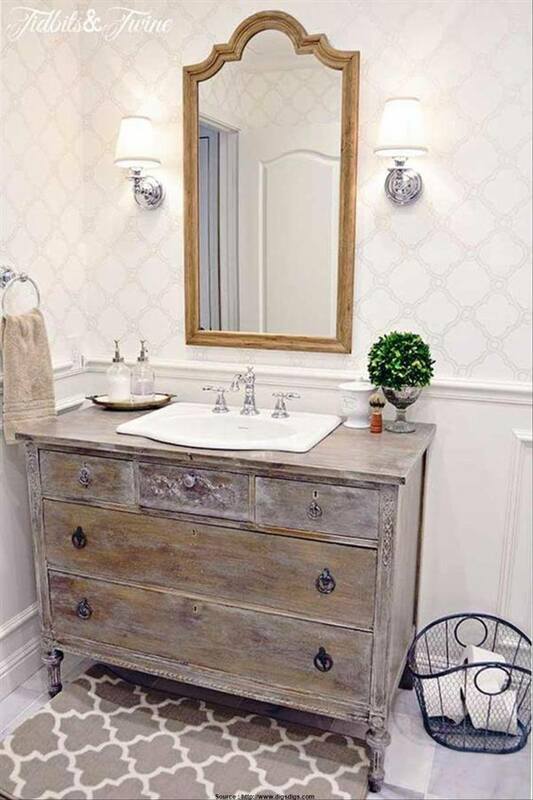 Frequently, the mirrors have a distressed surface that complements the vanity. 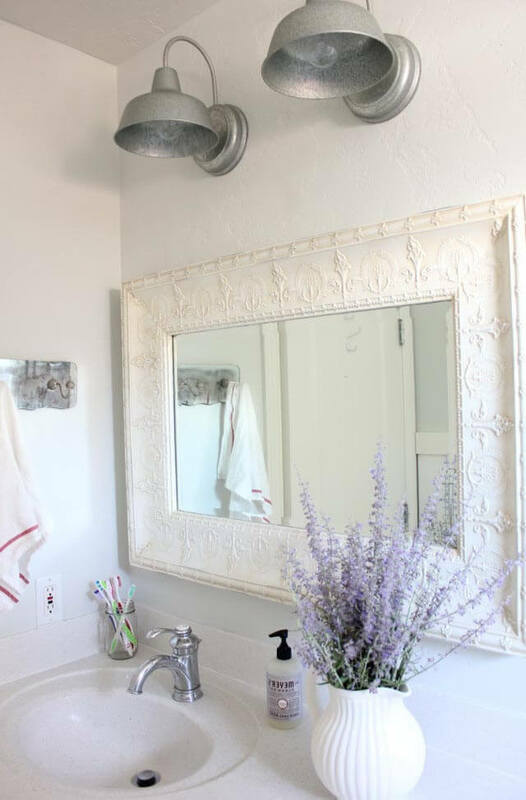 Other mirrors have wide gold or silver painted frames. 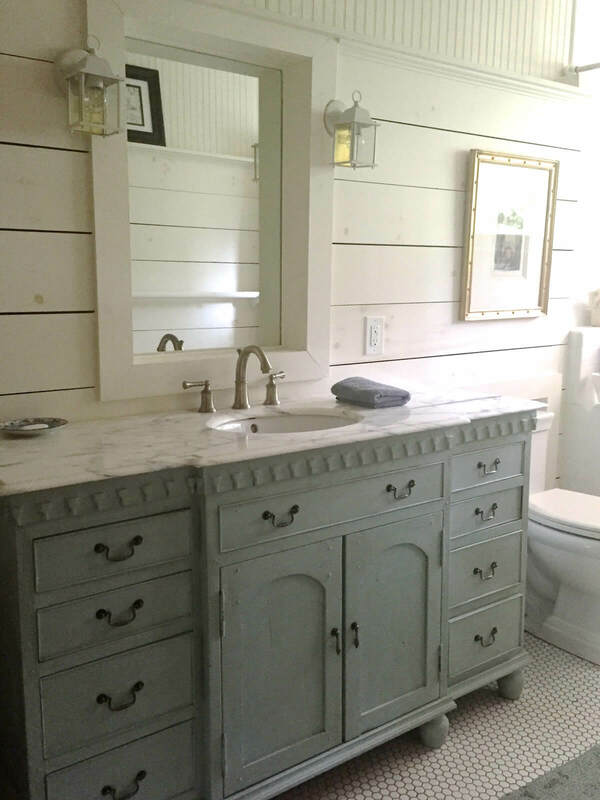 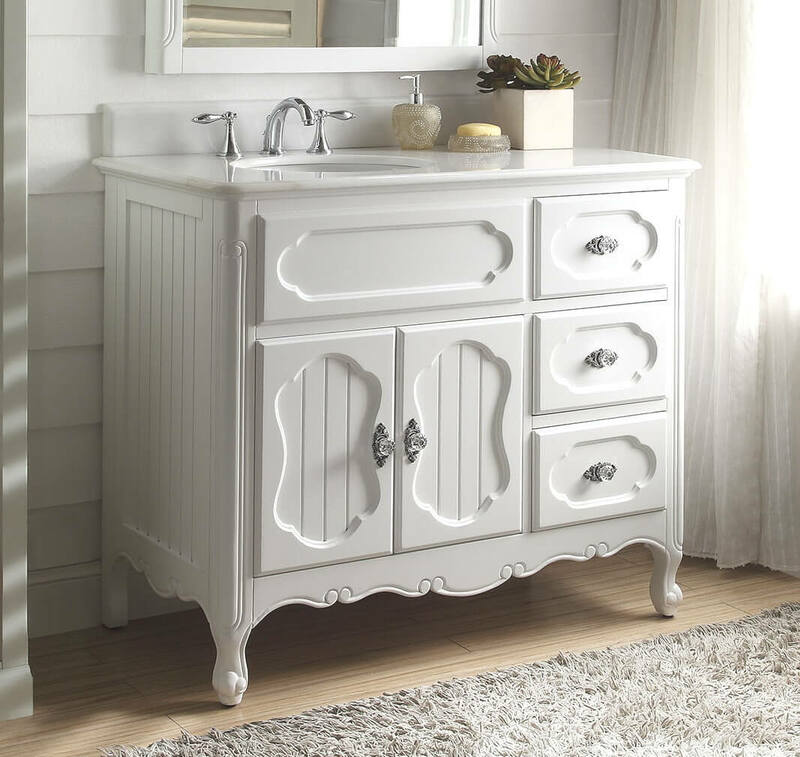 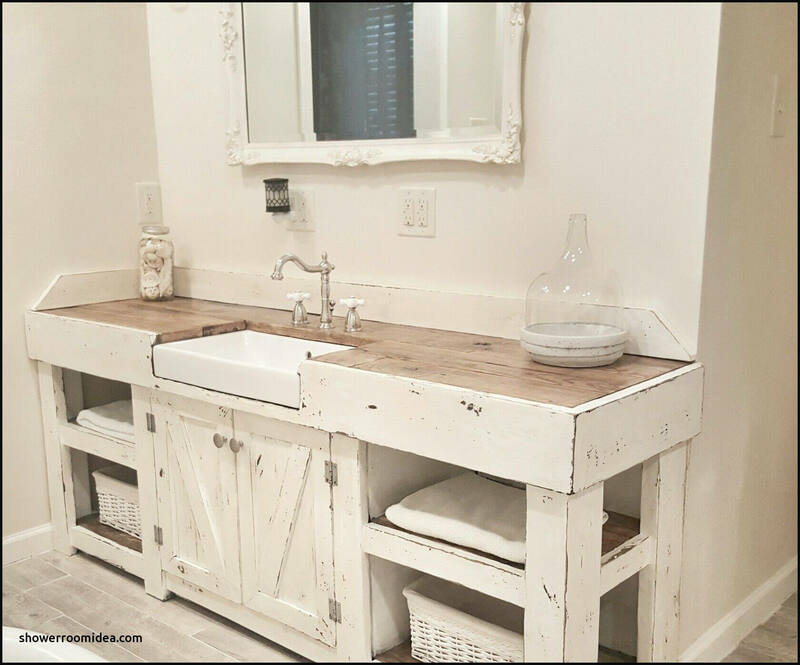 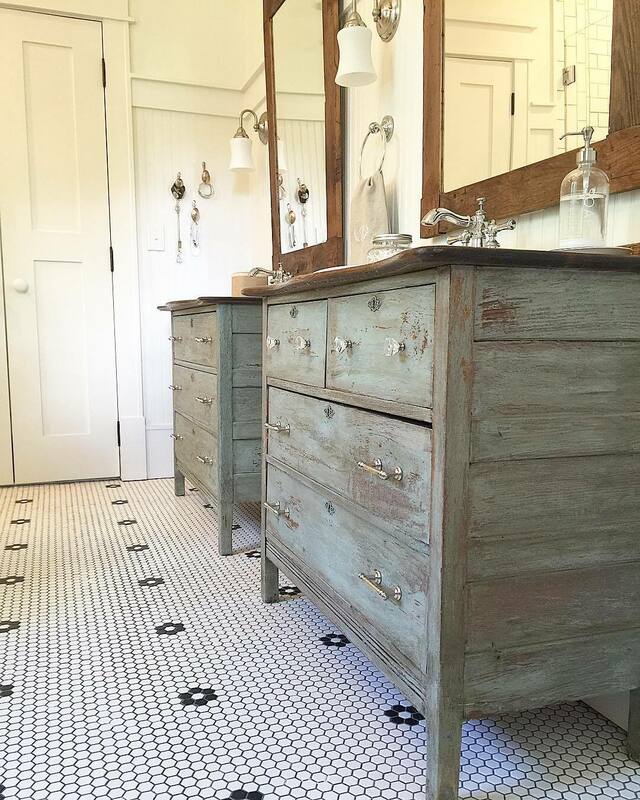 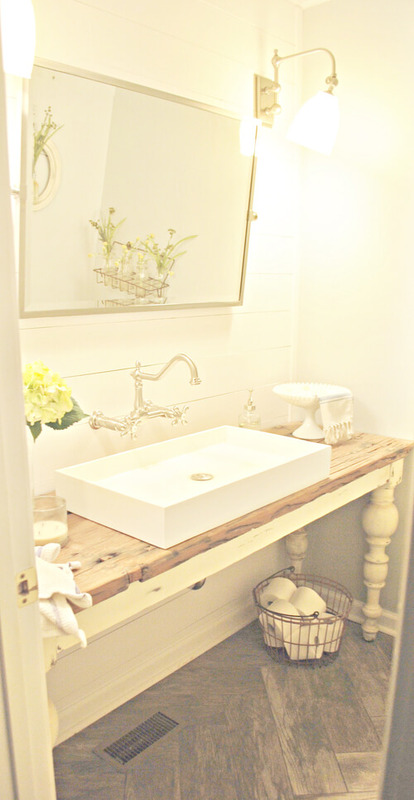 One of the most popular cottage style bathroom ideas is converting vintage furniture pieces into vanities. 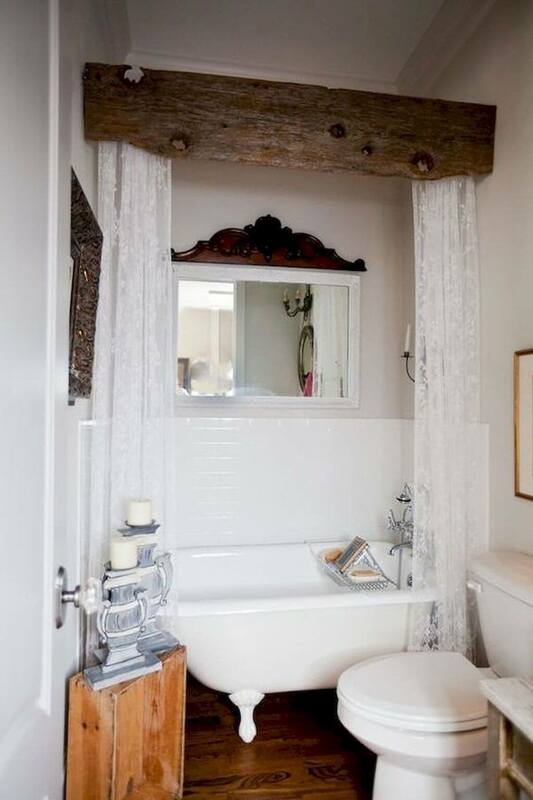 This is a way to bring the past into a modern bathroom without sacrificing convenience. 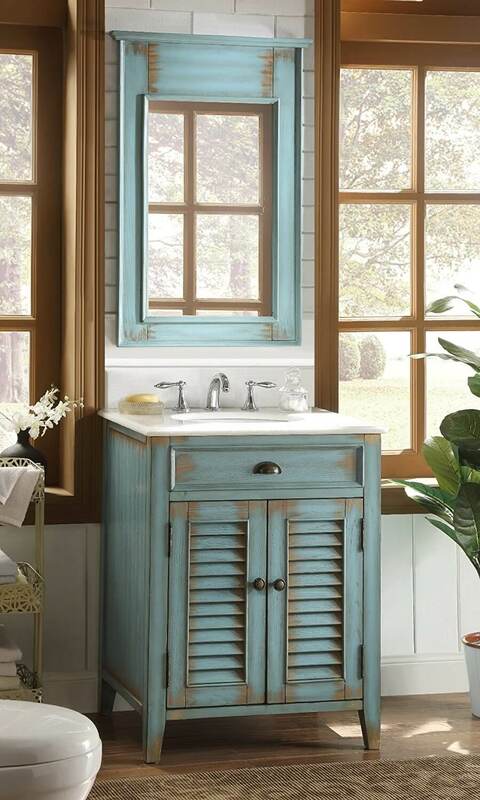 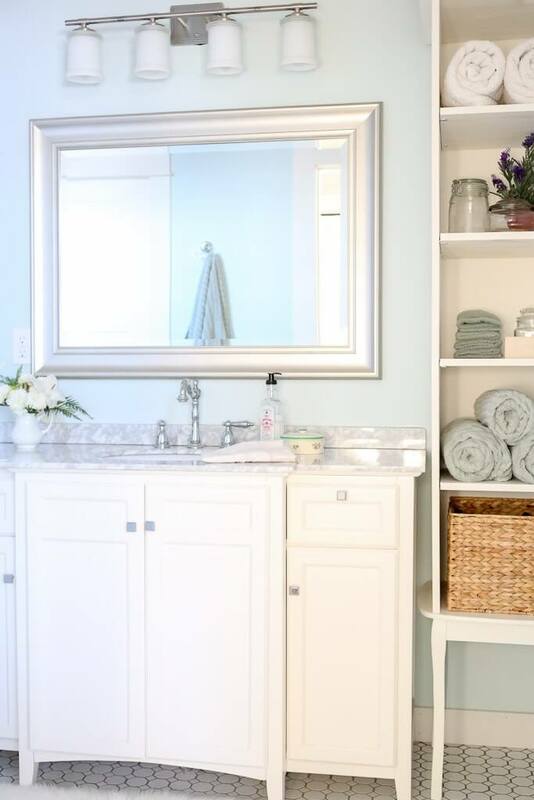 These vanities are not as durable or water-resistant as new vanities, but with proper waterproofing and care, they can provide the centerpiece to your country cottage bathroom. 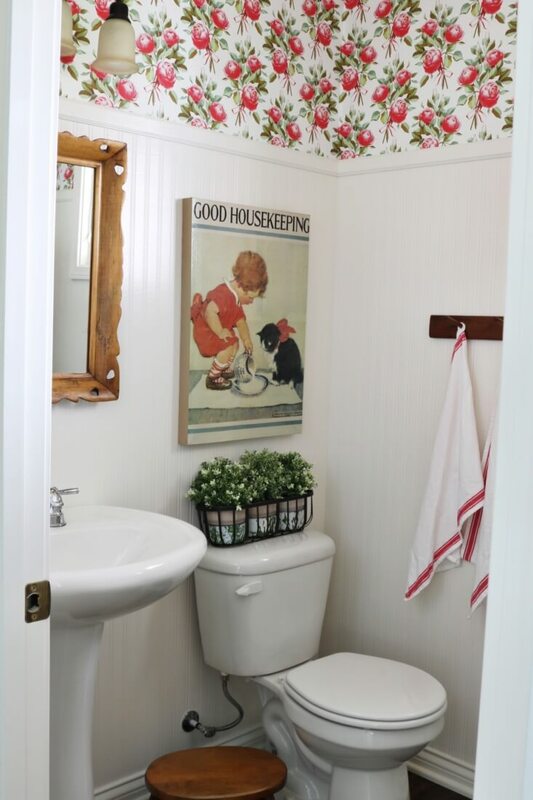 A few of these rooms have beautiful flowered wallpaper, another popular feature of the country cottage home. 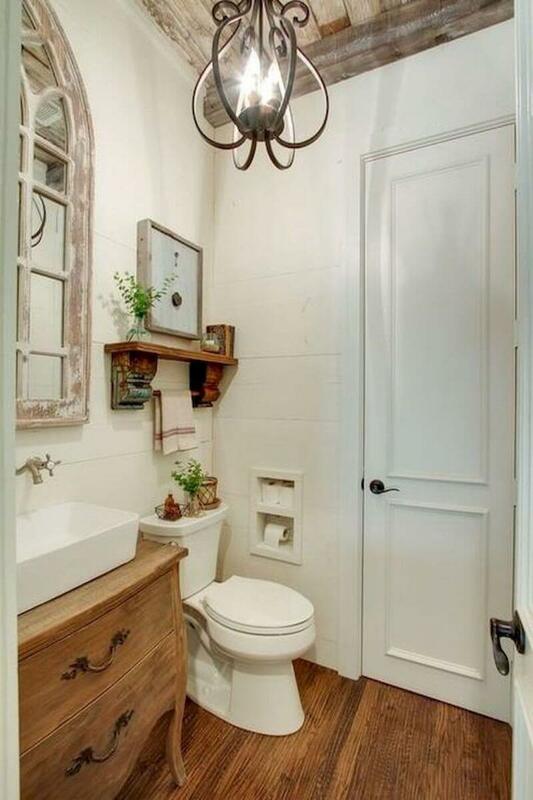 The wallpaper is used over wainscoting and on its own. 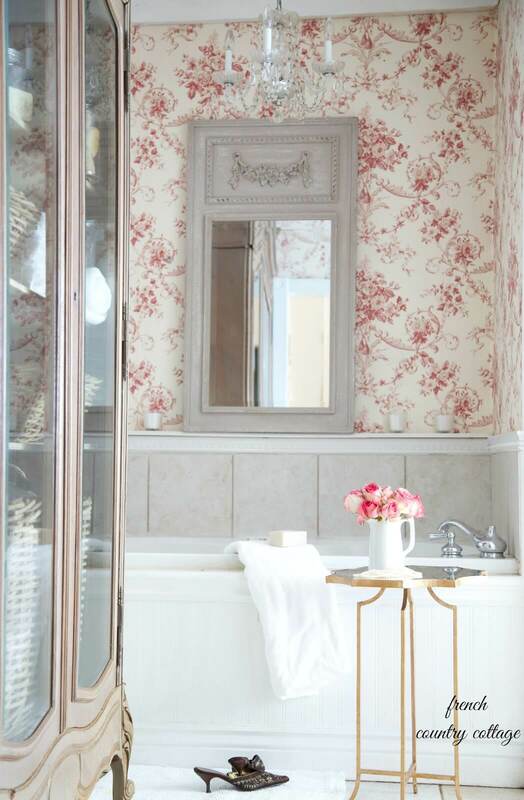 Wallpaper brings color and visual interest into a small space like a bathroom. 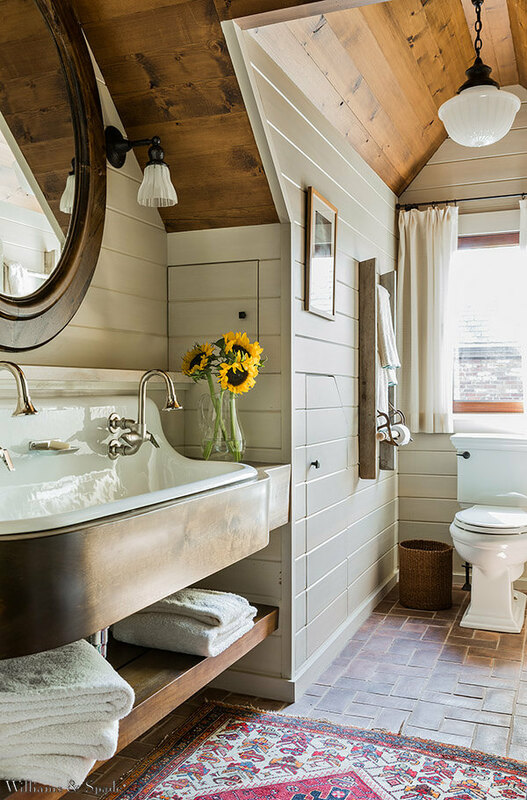 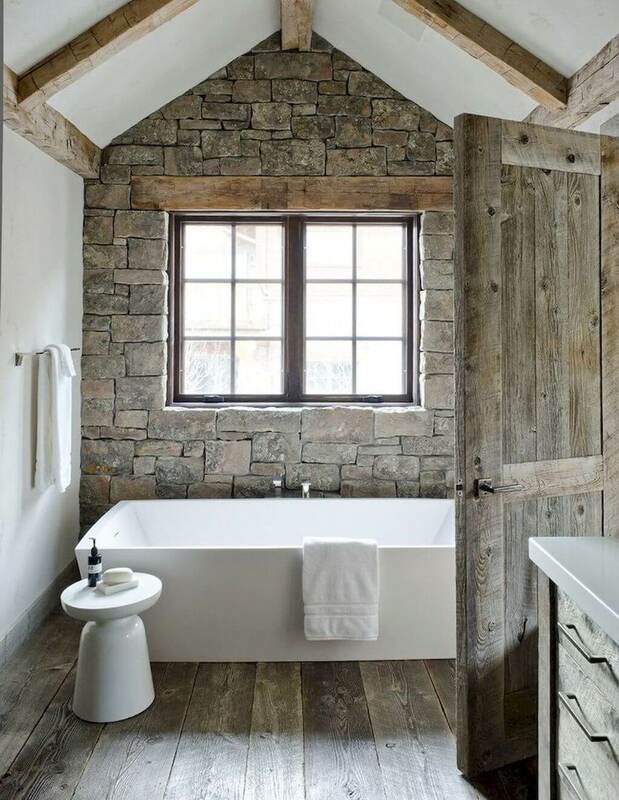 Try some of these cottage style bathroom ideas to convert your boring bathroom into a country cottage showpiece. 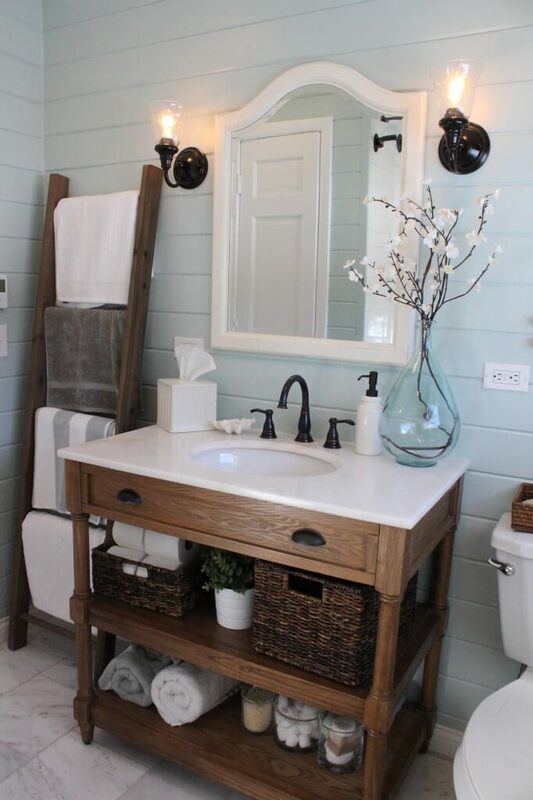 This style combines charming style with solid practicality.